Most automobile enthusiasts were expecting some minor revisions to the already popular Panamera model. 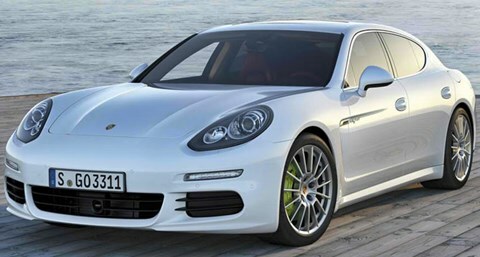 However Porsche in its infinite wisdom decided to call the 2014 Porsche Panamera a second generation edition. 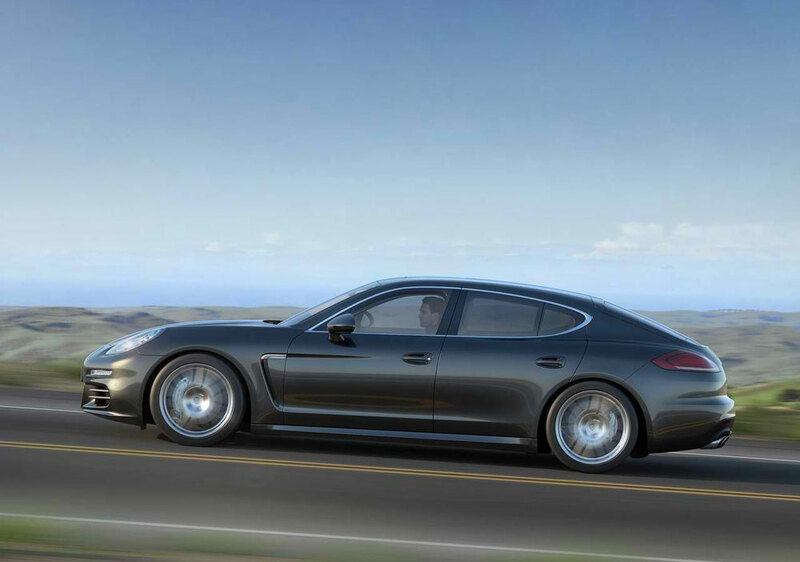 This new group of contemporary Panamera's will include an S E-Hybrid and a pair of "executive" luxury sedans. Styling changes appear to have been inspired by the Porsche 911, always a good car to follow when it comes to success. 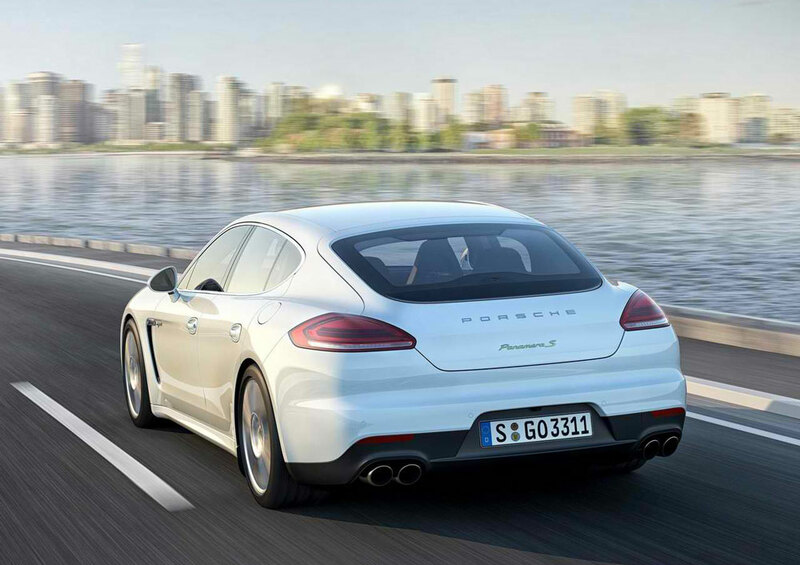 With the exception of the "executive" models, the rest of the new and improved Porsche Panamera will be available in July of this year. The MSRP begins at $78,100. The top of the line Turbo executive will run you around $161,000 and go on the market during the 2014 calendar year. 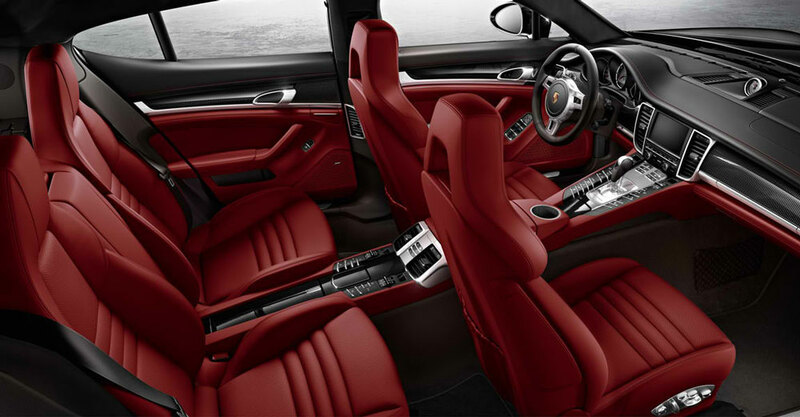 Unlike the interior, the Porsche Panamera has received a make-over under the hood. The basic models will stay with the 3.6 liter V6 engine but the power output has been improved to 310 HP. This engine should move you from 0-60 MPH in about 5.9 seconds with a top speed of 160MPH. There are even greater improvements in the Panamera S and 4S versions. The previous 4.8L, V8 has been replaced with a 3.0L, twin turbo V6. While the displacement is smaller the performance is solid. This engine will propel the vehicle from 0-60 in 4.7 seconds with a top speedometer reading of 179 MPH. 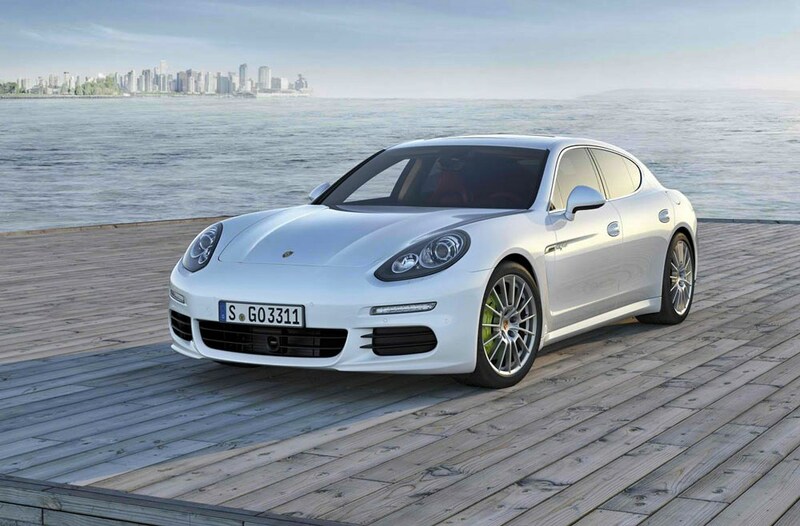 All 2014 Panamera engines will be mated with the Porsche Doppelkupplung (PDK) transmission. The first thing you may notice as the 2014 Panamera approaches is larger air intakes, this help to improve engine cooling. The redesigned front headlights join the more pronounced and firm hood lines. The standard headlamps will be bi-xenon, but LED's will be offered as an option if that is your preference. The side view affords a larger yet more streamlined rear window. This sweeps to the rear where a broader spoiler has been added. The rear taillights, like its front counterpart, also has a new design accentuating a fresh sportier rear profile. 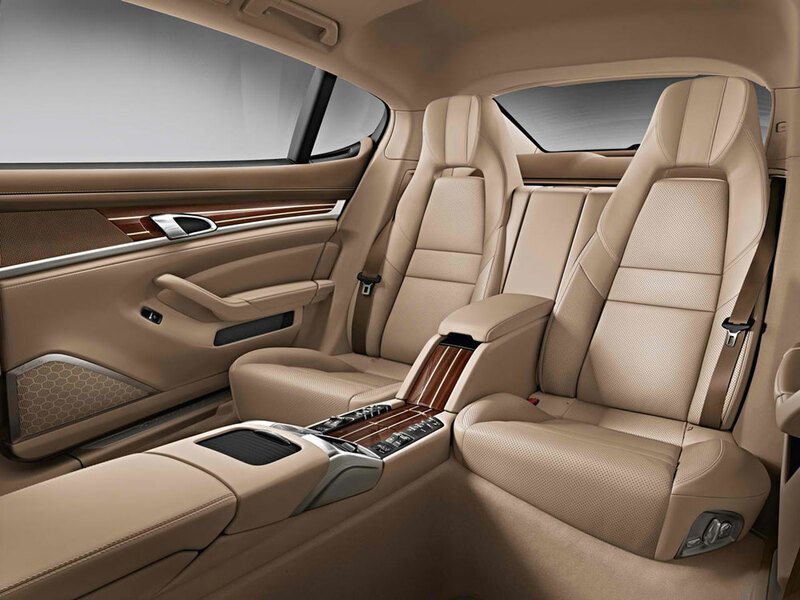 Not much has changed in the interior of 2014 Panamera. The same elegant comforts you are used to, is still available. The multi function steering wheel is standard and you can choose your seat fabrics, from Alcantara, to leather, and even carbon fiber.